Yesterday I got my wisdom teeth out, and while it hasn’t been bad at all, I am missing eating real solid food like meat and chewy chocolate caramel shortbread bars. So while I sip my smoothies and soup, I’m staring longingly at these bars and planning some future goodies to make. Getting your wisdom teeth out is actually a great excuse to stay in bed for as long as you want and only do what you feel like. I’m enjoying a lazy day. When I was taking the pictures of these bars, I felt like I needed something else it the background. After digging around in my cupboards I found a mug, that fit my mood. But a few more shots and I realized an empty mug looks pretty dumb. I found some instant coffee languishing in the back of my pantry. 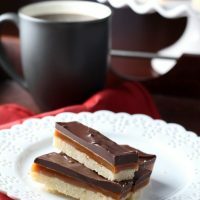 Now as a non-coffee drinker, I have no idea if a person would drink actually drink coffee with these chocolate caramel shortbread bars, but I thought it adds to the picture. After consulting with a few coffee drinkers, they informed me that these bars with be a delicious pairing with coffee. Though probably not instant coffee. 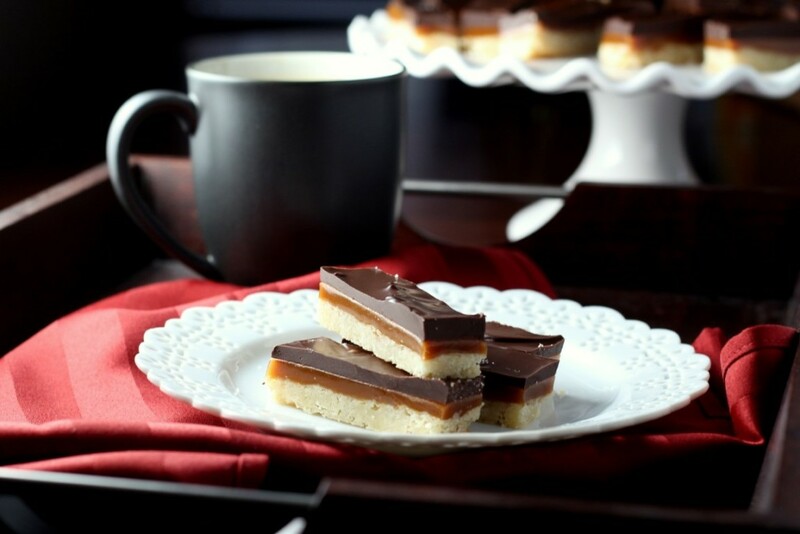 These Chocolate Caramel Shortbread bars start with buttery shortbread spread with smooth caramel and chocolate. Similar to a homemade Twix bar. Preheat oven to 350 F. In the bowl of a stand mixer, cream together the butter, sugar and vanilla until combined. Add the flour and sprinkle in the salt. Mix just until the dough forms a ball. Before starting to make the caramel, have all the ingredients measured and ready. Dump the sugar in the bottom of a heavy saucepan. Over medium high heat, melt the sugar stirring or whisking constantly. It may clump as it melts, but that is okay. Keep stirring. Stir until the sugar is melted and a deep caramel color. As soon as it is the right color, add the butter and whisk until melted. Remove from the heat. Pour the heavy cream in very slowly whisking as you go. Whisk until smooth. Let cool for about 5 minutes and then pour onto the cooled shortbread. Let cool slightly. To make the chocolate layer, place the chocolate chips and shortening in a microwave proof bowl. 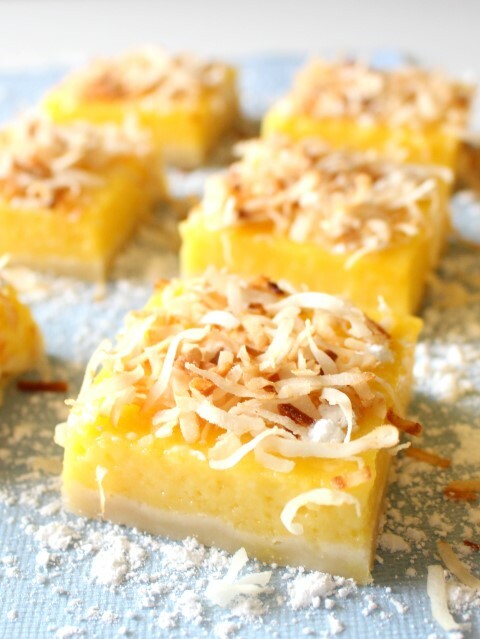 Melt in the microwave in 15 second intervals, stirring between each. When the chocolate is smooth, pour onto the cooled caramel and spread evenly. Let set completely before cutting. 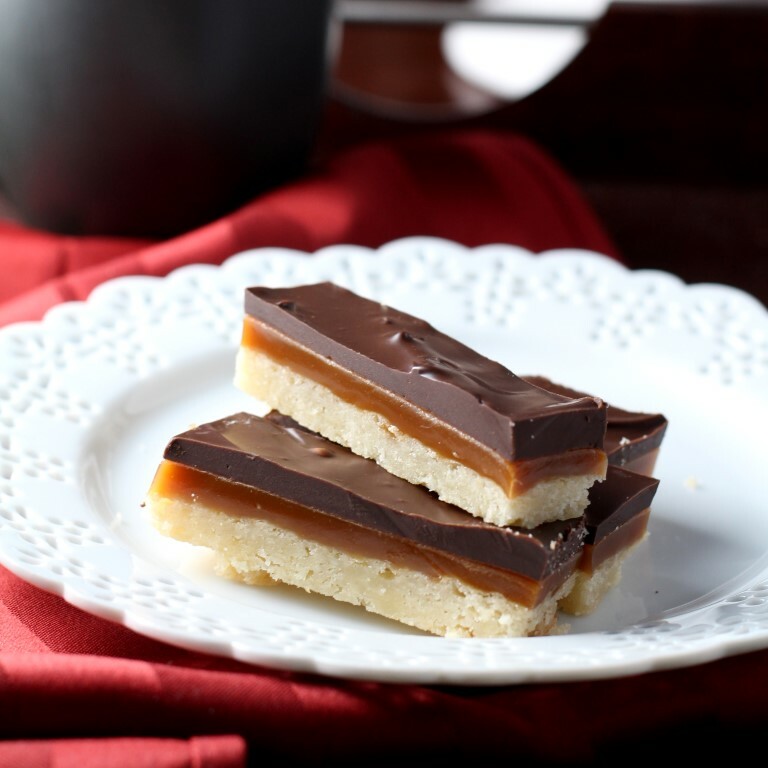 Want to make some other homemade candy bars? 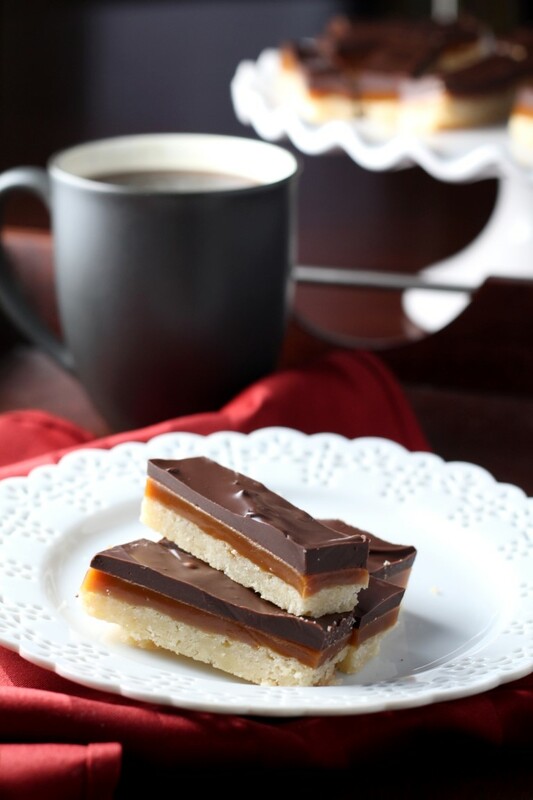 You had me at homemade twix, these look to die for. So many yummy layers. Pinned! 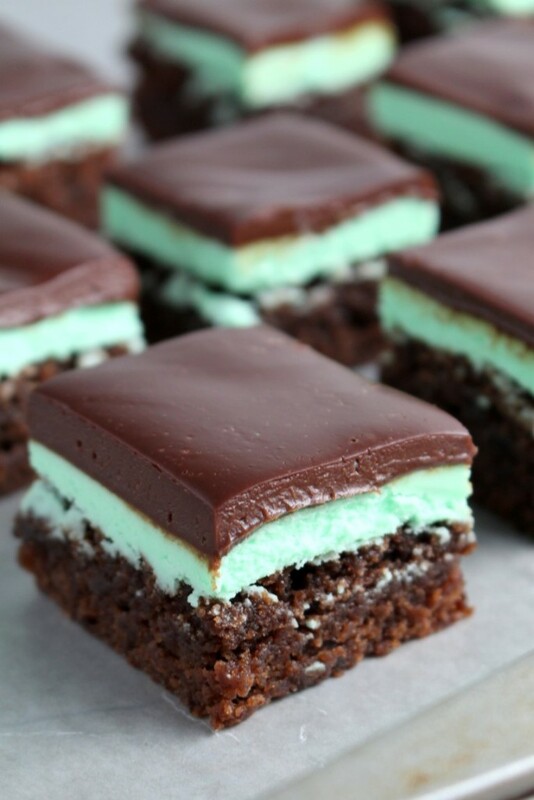 Twix are my favorite, so naturally, I would devour these bars! Love all the layers in these bars! They look perfect, Mallory! You might want to proofread your recipe before posting it. You don’t have any liquid listed to melt the sugar in the pan, and you list adding salt to the caramel layer, but don’t say when. I’m glad I have extra in case it doesn’t come out correctly.